When Liz Mitten Ryan moved to Gateway 2 Ranch in 1999, she embarked on a life changing journey. The 320 acres of untouched forests, meadows and lakes, became the pasture and home to Liz and her herd of warmblood horses. "One With The Herd- A Spiritual Journey" tells the story of how Liz lived in a wall tent for several months, following and communing with the herd, learning their secrets of connection and communication with The ALL (the horses' name for God) and all life. When the house and barn were finished, the structure offered a shared space for the horses to return to daily, to rest and re-connect, communicating the mystery and magic of life lived from a place of clear connection to the ALL. 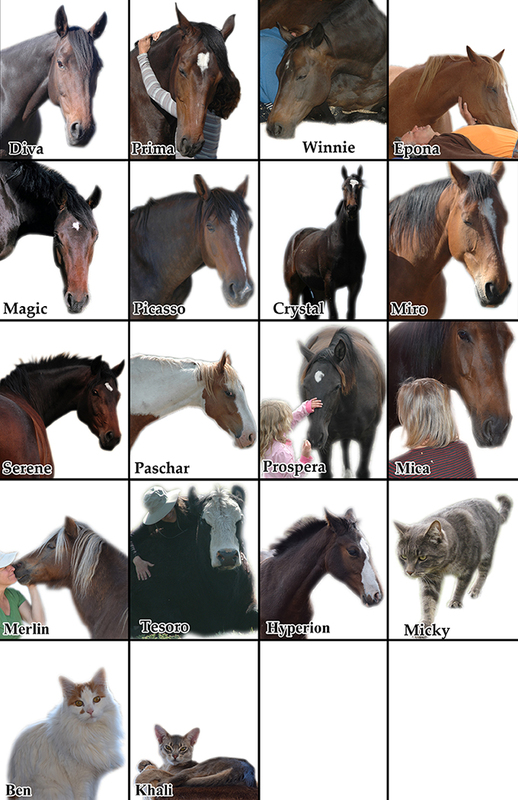 This communication grew to encompass four books, co-authored by the horses, dogs, and cats which explain the animals perspective on life. Untainted by human mass mind consciousness, this perspective provides a life-changing understanding of the enlightened journey. Artist, writer, animal communicator, Liz's art has raised millions of dollars for animals and the environment through groups such as World Wildlife, Earth Day International, Ducks Unlimited, and Habitat Canada. Her books have collectively won nine Independent Publishing awards at Book Expo America in Los Angeles. 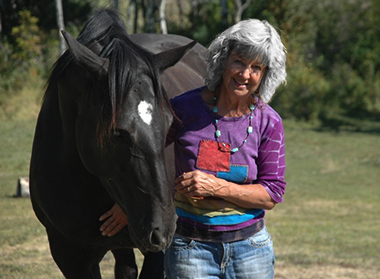 Liz will be available at all of the Retreats and Programs both to demonstrate and help participants understand the higher level of connection with nature and animals that allows miracles to manifest in our lives. Please contact the web administrator if you're experiencing issues with the site.